What Do You Think of the New Pixels and Products Announced at the 2017 Google Event? Yesterday was huge for Google as they had a number of hardware products as well as software features to show off. We saw the official unveiling of devices that we had seen rumored in the past, and also saw some surprises tossed in there as well. Those looking for a new flagship smartphone can now decide between the Pixel 2 and the Pixel 2 XL. Fans of Google Home can now choose between the more affordable Google Home Mini or the more premium Google Home Max. Those who need to do work on the go can look at the ultra premium Chromebook from Google, the Pixelbook, while using the company’s new wireless Pixel Buds as well. There’s a refreshed Daydream View headset for those who are interested in VR and there’s even a new AI-powered camera called Google Clips that will take the work out of capturing those important moments in life. Along with all of this hardware, we saw new capabilities added to Google Lens, more apps are taking advantage of Google Assistant and so much more. So with the big 2017 Google hardware launch event out of the way, we want to hear what you thought of the whole thing. 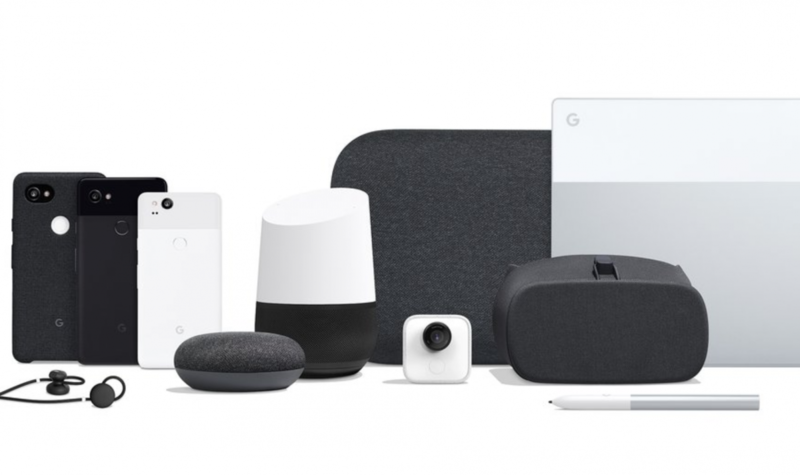 What do you think of some of the products Google unveiled at the event? What are your thoughts on the Pixel 2 and Pixel 2 XL? Were there any hardware or software features unveiled that you are particularly interested in? Have you pre-ordered something already or are you waiting for your chance to? Was there something left out that you think Google should have launched? Let us know what you took away from Google’s new hardware launch event!